Our�yachts are well cared private vessels that are offered for day charters to�private groups only. We make sure each�yacht is�thoroughly prepared for you -�always clean - and�professional crew welcomes you with a smile. All yachts are taken care of - kept in safe marinas - not at anchor. Please see our docking slips - as each yacht has different LOCATION. Our�vessels are sailing�yachts and due to size they also have motor. However we make sure SAILS are OPEN as fast as we can. Our crew is energetic and young enough to provide you with full sailing�experience UNDER SAIL - not motor only. Make sure you are not fooled with�catalogue pictures and shiny marketing�materials -�as they may be�further from�reality than you could imagine. The decision is yours ! We also offer our fleet for burial at sea. 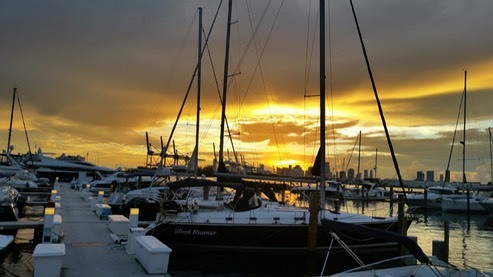 ITINERARY: calm waters of Biscayne Bay with spectacular views on Miami Skyline (voted No 3 Skyline in the USA), Vizcaya Palace & Gardens, Coconut Grove and Key Biscayne. It is up to you if you want to continue sailing towards �historical Cape Florida lighthouse in Bill Bagg's State Park. 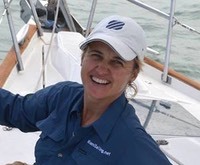 If you are interested in a true�sailing�experience on the ocean ("Wind Runner”�) - book us for a full day around Key Biscayne (ocean + bay) -�final itinerary depends on wind conditions. Ocean sailing on half day is also doable.